Announced in COMPUTEX 2018, the ROG Thor 1200W and 850W Platinum Power Supplies were a highlight of ASUS ROG’s launch event, welcoming an entirely new product category to its product portfolio. The ROG Thor Series boasts 2 times more surface area than standard designs. 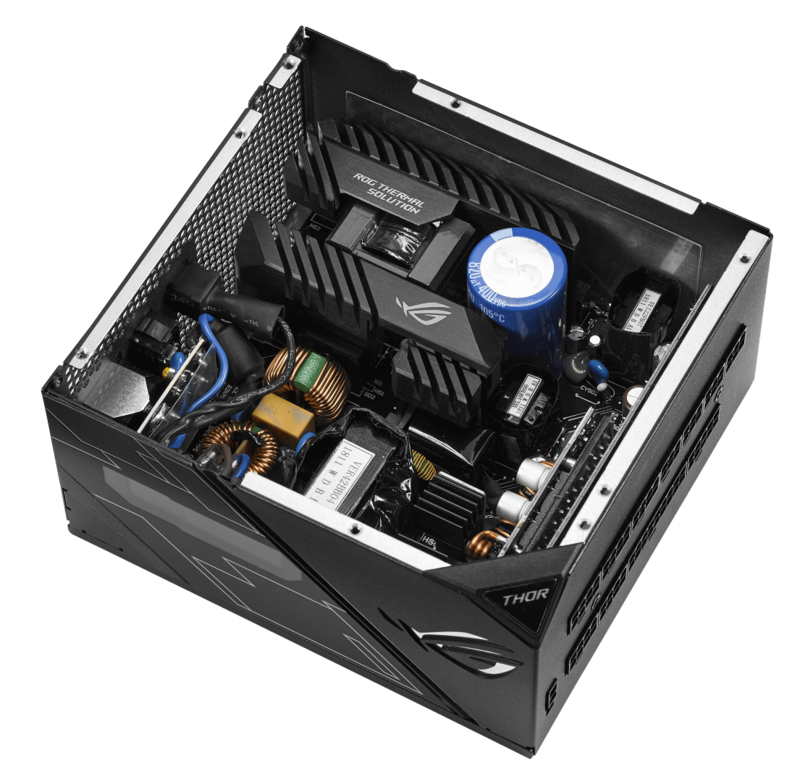 It also features larger heatsinks combined with other premium components that result to cooler operation when under load, extended lifespan, and silent operation. To make sure that these can keep up with the demands of today’s games, both PSU’s are equipped with a patented 135mm wing blade fan that’s also found in some of the brand’s high-end graphics cards. This design delivers increased static pressure to cool components efficiently at lower RPMs compared to a traditional fan. It’s also IP5X dust resistant for a long lifespan. At the flick of the rear-mounted 0dB switch, the wing blade fan stops completely at low temperatures, and with 80 PLUS Platinum certification combined with Japanese capacitors and other premium components, the ROG Thor is designed to last for years. The ROG Thor also has an OLED display that shows overall system power draw in real time, so you can easily monitor how much power your system is using without the need for extra software. 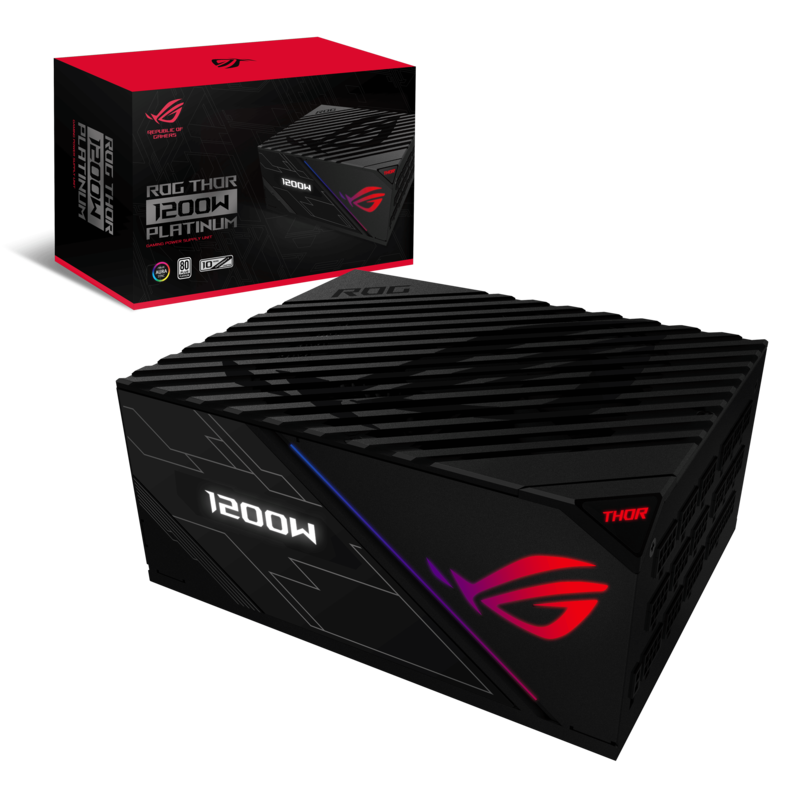 The device has also been equipped with addressable RGB LEDs that light up the ROG Logo at the front, and can be controlled using a compatible ASUS motherboard or through the Aura Sync software. The ROG Thor series PSUs will be available in stores by October 2018, and will be priced at PhP20,213 for the 1200W variant, and PhP13,732 for the 850W variant. Samsung Announces Great Blue Sale: Up to PhP5,000 on Select Smartphones!